Based in Sydney, Australia, Motion Arts is a Production Company that specializes in low budget independent films. * Tanuwidjaya’s second feature film, Adventures of a Happy Homeless Man, was released theatrically in Sydney, Australia on July 18, 2016 (Sydney – limited theatrical release). The film is available for digital rent on Google Play Australia & FetchTV Australia from September 22, 2016. Available on iTunes US , iTunes Canada and iTunes UK from April 6, 2017. See Happy Homeless Man tab for more details. Inside Film article about the Sydney theatrical release: “I wanted to make a movie that’s entertaining and also makes people think.” – Click here for Full Article. FILMINK interview with Director Dicky Tanuwidjaya: “… every time that I write a screenplay, there’s always a character that has hit rock bottom. I wanted to make a movie about how someone struggles to bounce back, and finally comes back stronger than ever.” – Click here for Full Interview. * Tanuwidjaya’s debut feature film was micro-budget action/thriller/dark-comedy titled The Devil’s 6 Commandments that got limited theatrical in Sydney, Australia. The film is available on Digital Downloads in North America and in Australia. See ‘The Devil’s 6 Commandments’ tab or Official Page for more details. “….so winning and so interesting you can’t help feeling for and rooting for the guy, thanks to a very empathetic direction” – (re)Search My Trash review of Adventures of a Happy Homeless Man. “… from writer/director Dicky Tanuwidjaya and it’s a witty and sarcastic look at how the camera stops people from being themselves” – Rogue Cinema review of Adventures of a Happy Homeless Man. 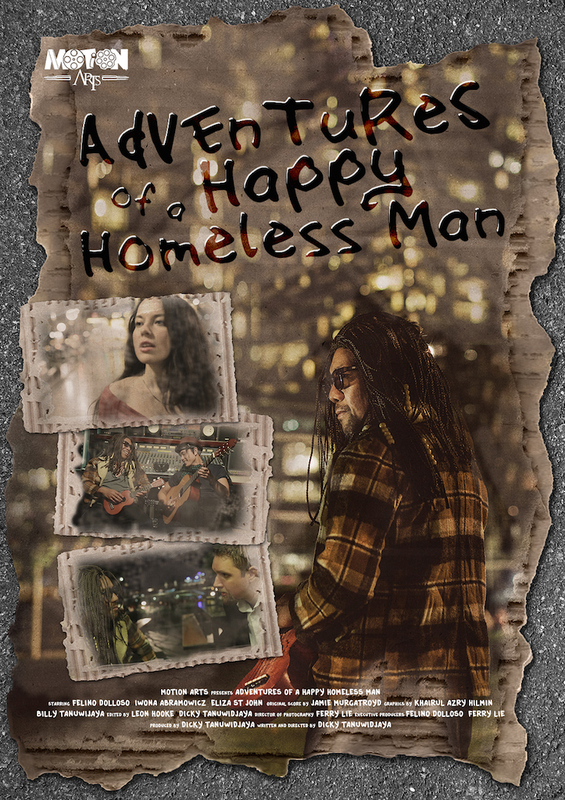 “…Dicky Tanuwidjaya still pulls off an excellent movie with the help of his talented cast and crew” – IndyRed review of Adventures of a Happy Homeless Man.